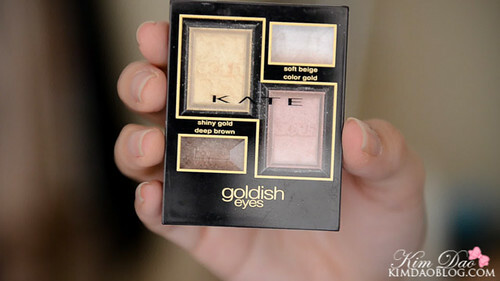 Today I'm going to be reviewing the KATE Goldish Eyes eyeshadow palette in PK-1. These came out at the start of 2013 I believe. KATE is a Japanese makeup brand and I love their eyeshadows the most. They are very pigmented and also really shiny! 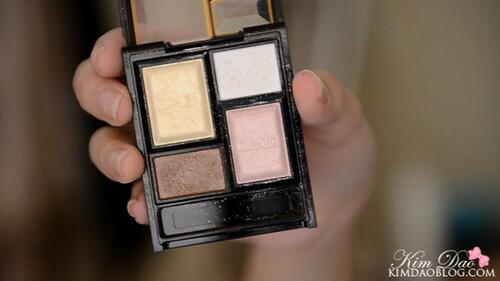 I love pink and brown shadows, they are perfect to wear everyday and you can do so many looks with these colours! Love how shiny they are! 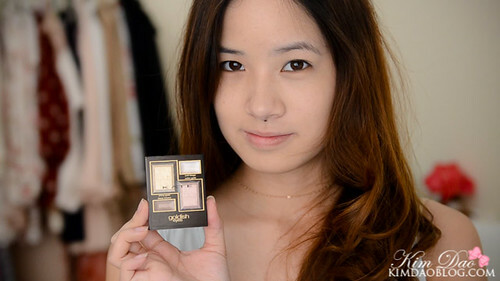 This eyeshadow is perfect for everyday wear. You can create really natural looks or you can create really romantic eyes. 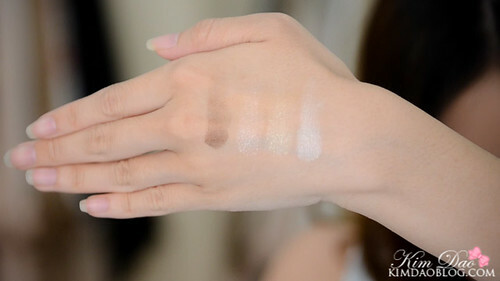 It is definitely one of the eyeshadows I use the most! Love how the palette is made and colors are very pretty! Please do a tutorial on the look on your picture, would love to see it! 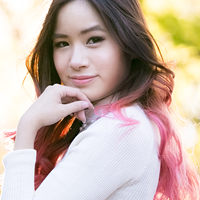 I remmenber that I search it but I don't found it, so beautiful <3 you're always pretty hihi! I recommend to you to try using a pecil eyebrow like the "etude house drawing eye brow pencil", it's really cheap (5$) and it make a more vibrant look, I use it because my eyebrows are thin and it make a such diference now when I wear make up with eyeshadows. thanks for the review and swatches. love all the natural color. You definitely should! The colours are lovely! That's ok! The colours are all lovely! I haven't tried KATE Cream eyeliner yet but I have heard good things about it! I will check it out next time! Ahh yeah it might be harder to find now :( I've been really liking Korean makeup products lately so I will definitely check it out sometime!